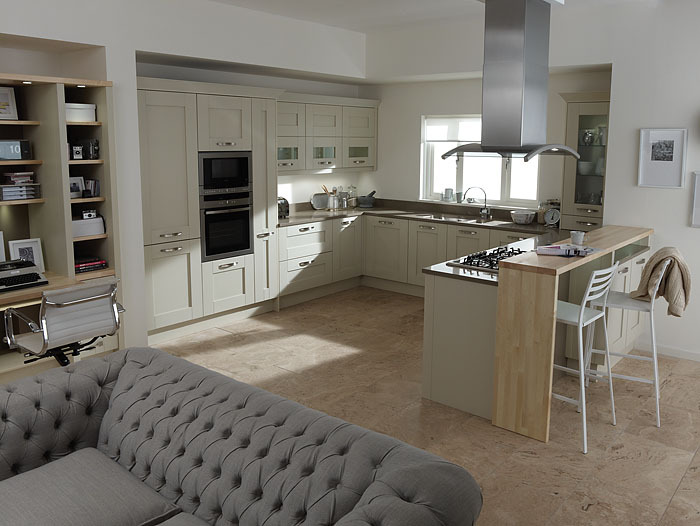 _This Milbourne Almond kitchen really is the all-in-one cooking, working and relaxing space. The U-shaped kitchen has a practical office area incorporated into the open plan using the same materials as in the kitchen. The kitchen benefits from a maple breakfast bar plus a handy pull-out next to the oven as well as clear glazed feature doors in a vertical and letterbox design.